Caen’s fall from the top spot to the bottom was stark and drastic. Whilst opening their top-flight campaign with an impressive victory over Evian TG, they never managed to maintain their pace and have instead plummeted progressively in the rankings. Following their goalless defeat to Lille very recently, Patrice Garande have extended their winless run to a ninth consecutive match. In effect, they remain the most vulnerable club to be relegated to the second division. 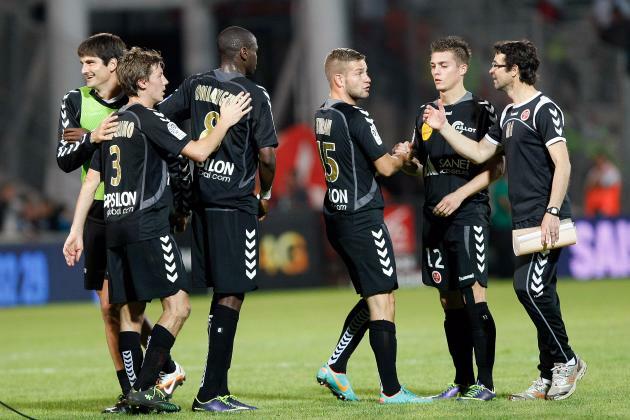 Reims, meanwhile, stay within the middle sections of the league table in spite of their loss to Saint-Etienne 1-2. Their two earlier results were positive, pwith an added boost from their triumph over St. Maur Lusi at the Coupe de France. Currently ranked 10th, Jean-Luc Vasseur’s lads are in dire need of a turnaround of their inconsistency. Sports betting tip: Reims will lord Caen over. Monaco and Nantes recorded identical results in their most recent battles in the French top-tier league with goalless draws against Bordeaux and Metz, respectively. The squads are among the most rooted for in the current season, capped by ranks within the top 10 and scores topping out the 30-points mark. The last few weeks have been very optimistic for both clubs. Les Rouges et Blancs toppled Marseille and Metz in Ligue 1 as well as Lyon in Coupe de la Ligue and Nimes in Coupe de France. Les Canaris also have similar record: victories against Bordeaux and Lorient in the French top division as well as against Metz in the Coupe de la Ligue and Club Franciscain in Coupe de France. Football betting tip: Monaco and Nantes will battle out a high-scoring stalemate.